Callie just wants to wish our friends a Happy Cinco de Mayo! Or as she likes to call it - "Cinco de MEOWO". If you're looking for a tasty pet-friendly treat, she recommends a PAWgarita. Here's the recipe we created from last year. Enjoy! 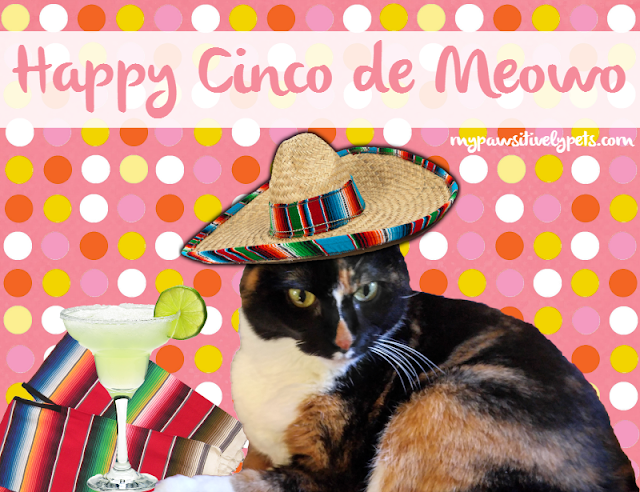 Happy Cinco de Meowlo - I adore your recipe! I shared it on my Facebook page. Hope you didn't dip too deeply into the niparitas, kitty! Happy Cinco de Meowo - I love it! Callie looks great. Happy Cinco de Mayo ( a little late). What a great graphic of you in your sombrero!! !